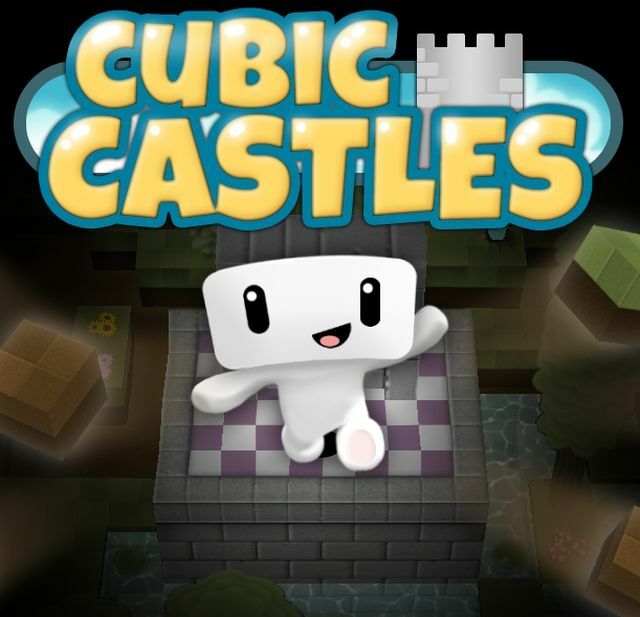 Inspired by the creative sandbox building of Minecraft and the playful gameplay of Nintendo classics like Super Mario Bros, Cubic Castles is a new multi-platform game that lets users design their own game levels and worlds. This virtual world is massively multiplayer. Easily show off your creations and play in what other users are making. Everyone is connected in expandable Overworlds, with settings to protect your own Realm and be able to build and play cooperatively. Cubic Castles is a fun new world based on user creativity. Come see what this indie team of developers and their clever players are bringing to life! Cubic Castles is an adorable and playful, free-to-play sandbox MMO game. In the game many players create 3D challenges, parkour runs, puzzles and platformer games, and then have fun playing them with friends. Others choose to create mini RPG worlds. Talented voxel artists have also been hard at work making elaborate buildings and other impressive structures. And if you would rather build a quaint little home and live peacefully, you can! The game is completely open-ended and packed with building and exploring possibilities. This is a game that anyone of any age can enjoy with endless potential to expand and grow in the future. Cosmic Cow Games is a small indie studio built of former PopCap guys developing a light-hearted MMO called Cubic Castles. All three of the members of the team are experienced indie developers with a lot of games out there, but this one is their favorite yet!